As with most amps the set up was pretty straight forward. 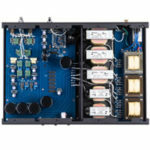 Having recently had the Pass Labs XA30.8 class A stereo amplifier in my system, I was appreciative that the individual amps didn’t weigh 100 pounds. 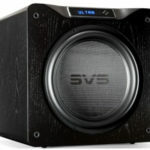 They were driving my Teresonic Ingenium XR speakers with Lowther DX4 silver drivers. The source was my AMG Viella V12 table and arm with a Soundsmith SG-220 Strain-Gauge cartridge system setup and the volume was controlled by an Emia Remote Autoformer. All the cabling was High Fidelity Cable0’ CT-1UR Ultimate Reference. All the power cords were plugged into a HB Cagle Design PowerSlave Marble Power Distributor. I used High Fidelity Cables’ CT-1 Ultimate Reference Rhodium Plus power cables from the wall to the power distributor and for the amps. 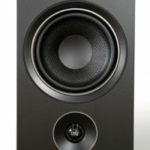 So how did my system sound with the Electra-Fidelity A3-500 300B mono-blocks? Simply put, the sound from these amps was beautiful. They played music with warmth, speed, rich tonal colors and nice control. The amps were very quiet both through the speakers and with no transformer hum. Now, I should mention that to me these Electra-Fidelity A3-500 300B vacuum tube amps do not sound like the stereotypical SETs, with all the positives and negatives there is in that stereotype. Their bass is not overly warm or soft, the top end is not rolled off and the midrange is not overly romantic. They aren’t as controlled, fast, nimble as my Wavac EC-300B, nor do they have the transparency that lets you hear everything in the groove. The Electra-Fidelity A3-500 has the ability to be both dynamic and nimble at the same time. It has more speed than most SETs. It has that immediacy we all look for from a great SET. The music flows effortlessly in space and doesn’t seem forced or strained. The bass has very good rhythm and control, but not so tight that it doesn’t sounds lifelike. It have very nice tonal colors and with instruments and voices. 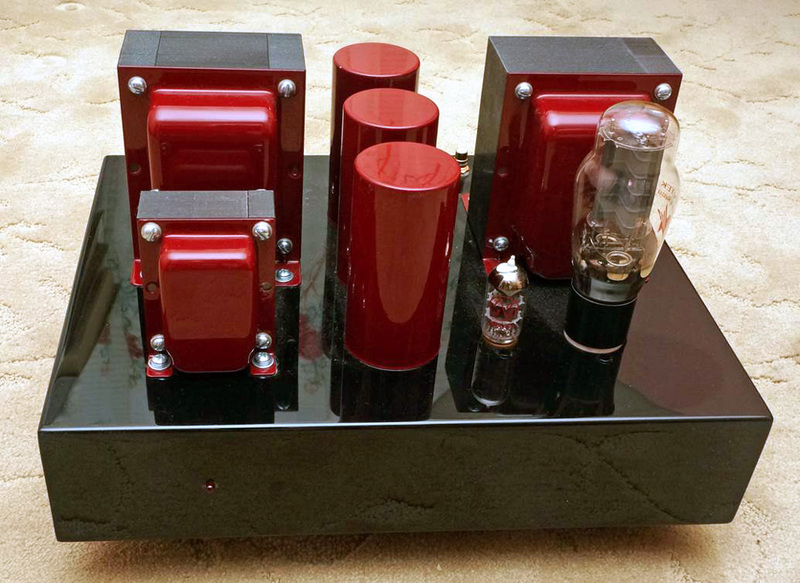 It is an amp that balances richness and transparency very nicely. The A3-500 lets you hear the space around and even within instruments very well. It also does a very nice job of letting you hear the textures of the music and the passion of the musicians. You can hear the swell, as a horn gets both louder and larger because the musician keeps putting the horn closer and closer to the mic and the scale of different instruments and combination of instruments seems right on. The Ella and Louis album is one of my very favorite. On cut 2, “Isn’t This a Lovely Day,” I could hear the beauty and lushness of Ella’s voice and the gravely power of Satchmo. The voices sounded very, very good but Louie’s horn didn’t swell to full size in the way I’m used to. It did have plenty of dynamics and scale, though. I don’t want to overstate the case, because I sat down to listened to just two cuts and ended up listening to the whole album. Elvis is Back has Elvis’ version of “Fever” on it. This cut will tell you if a system is all about slam and tightness or if it’s about emotion, music, and feeling that the musicians and singer are trying to convey. My system with the Electra-Fidelity A3-500 played this cut with great life and dynamics. It also let me hear the decay, the reverb, and how close Elvis is to the mic. 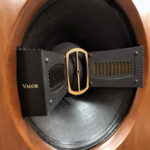 These nuances give you a very realistic and lifelike quality to the listening experience. It also did a very nice job of letting the emotions of the song come to life in the listening room. In 1986, North Star Record release a recording of Arturo Delmoni playing the violin called, Songs My Mother Taught Me. I remember vividly the first time I heard this album. It was at a Dr. Norton’s house in Auburn, Alabama, on his Futterman amps driving a pair of Quad 63, I was simply blown away by the beauty of the violin and piano. Twenty-seven years later, I acquired that very LP thanks to a friend in Auburn, and I couldn’t wait to hear it on my system. So often memories make things sound better than they actually were, but I was delighted to find that it sounded even more beautiful than I remembered. I was very impressed with how these amps and my Teresonic let the beauty and tone of this recording come through. Both the violin and the piano sounded very natural and the right portion of sound one to the other. You could hear the space in and around the instruments nicely and the decay and attack were spot on. The Electra-Fidelity A3-500 300B monoblock is really something special. When the people at Wavac built a mono version of the MD-300B it more than doubled in price, and to me it wasn’t as good at the stereo version. 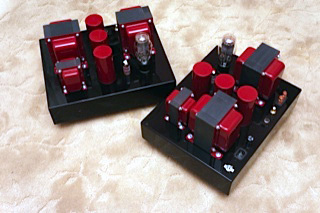 Here we have a set of mono blocks that cost just a little more than the Wavac MD300B. I feel the Electra-Fidelity A3-500 300B amps are a great balance in the sound of different SET amps and at a price that is fair both for the build quality or their sound.